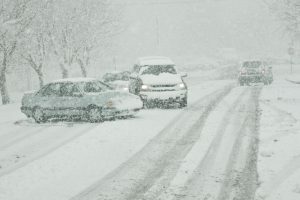 Winter Driving – Hit the Road With Care. The first few snow falls of the season always seem to spell chaos on the roads, as though Canadian drivers forget each year what is to come. When that first blanket of snow settles, the hustle to prepare begins. Window scrapers tossed in the trunk, sub-zero washer fluid topped up, emergency kits prepped, and snow tires swapped – procrastination of these tasks is not born of laziness, but the hope for an extended fall postponing the inevitable freeze. And while preparing your vehicle for the winter conditions is a good way to combat the winter driving chaos, it is just the beginning. The way you drive may need some adjustments too. Safe driving starts before you leave. This means getting out the door earlier than you normally would. Consider that poor road conditions can and should impede drivers’ ability to go the speed limit, or that collisions or construction can bring you to a stand still. Give yourself enough latitude to commute safely without the pressure of time. Clear your view. Don your mitts and toque and take the time to scrap the snow and ice from your vehicle. This is important not just so you have optimal visibility, but so that you are not restricting the sight or compromising the safety of other drivers with heavy snow and ice falling from your car. In fact, in some provinces you can be fined for this. Keep your distance. Following too close is never a good idea, but in the winter months you’ll want to take extra care. Leave a greater distance between you and the car ahead of you. And, don’t forget to be mindful of those behind you too. Be sure to use your signal well in advance of changing lanes and give the driver letting you into the lane plenty of stopping distance. Cutting too close in front of any vehicle can spell disaster, but larger transport vehicles or trucks in particular need far more stopping distance than most. Turn with ease. This means slowing down before entering a turn and then accelerating back up to a safe speed once your vehicle has straightened out. Taking corners at high speeds on poor roads could slide your vehicle out of control. ABS brakes really work, let them. If like me you learned to drive pre-ABS technology (anti-lock braking system), you were likely taught to pump your brakes. If your car is equipped with ABS forget this habit, instead apply constant pressure to your brakes and let the system do the work. 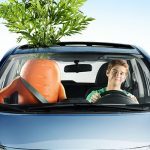 Check out the resources below for more safe driving tips, but one last one from me – Stay alert and keep your eyes on the road! I am a broken record, I know, but in case you need a refresher on the perils of distracted driving, click here to check out one of my more recent posts on the subject. 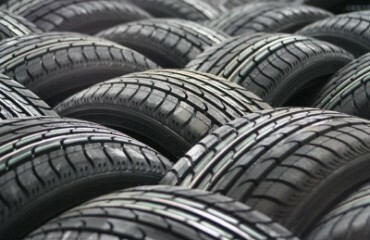 Winter tire discount for Ontario drivers. The details. 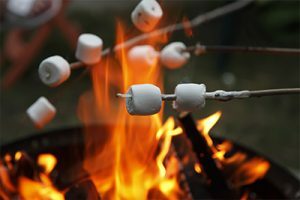 Backyard barbecues and beyond – brush up on summer fire safety.